My daughter has had issues with her neck since she was in elementary school. I'm always looking for something that would make her quality of life better! I feel I could use this pillow as my pillow is many years old and doesn't provide me with the support I need. I am signed up for your e-mail newsletter. I would be the one using Mediflow's pillow because I need a great pillow that helps me fall asleep and stay that way. I am also tired of waking up with sore, stiff muscles due to the pillow not properly supporting me. My contact info is my e-mail which is elixer2@hotmail.com. I have mild scoliosis, and a waterpillow helps ease stress to my neck vertebrae, which in turn helps my back pain! My husband who has sleep apnea could really use this pillow. Thank you for the contest. I am @sticklefish on twitter and Jay Nelson on Facebook. I am signed up for the emails. My husband and I would both benefit from the Mediflow pillow - I sometimes experience neck discomfort while he has lower back pain. Thank you and happy travels. I have chronic neck pain so I could really use this pillow. I think this pillow would be perfect for my husband because he has never found a pillow that really works ofr him. He replaces his pillows every couple pf months looking for one that works. My spouse could use this pillow to get better sleep. 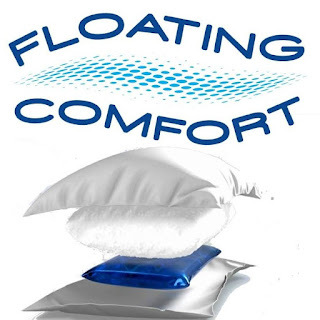 I can use the Mediflow pillow as I have neck pain sometimes after getting up from bed. My mom could use this for a good night sleep. I feel I could use the pillow as I have been having trouble sleeping lately.